Jean-Paul Paquet’s family has worked in the Mâcconnais region of Burgundy since his Grandfather settled there in 1955. Jean-Paul’s father was eventually able to purchase a small 7 acre domaine in the heart of Pouilly Fuissé in 1971. Jean-Paul and his wife took over in 1978 and have purchased several additional plots since then. 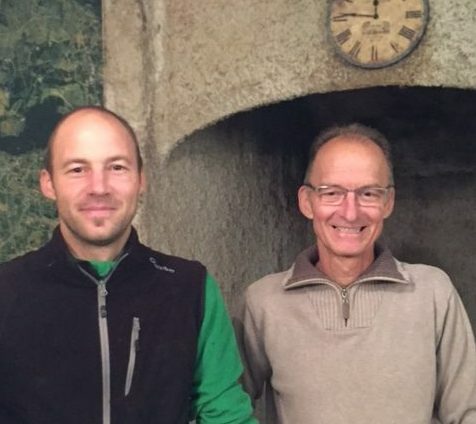 In 2003 when their son Yannick joined the family business, they decided to increase the size of the domaine again and purchased a vineyard outside the Chateau de Chaintré from which they produce Macon-Chaintré andBourgogone Chardonnay. The Davayé commune lies in Southern Burgundy, 1,000 ft. above sea level, just north of the famous towns of Pouilly and Fuissé in the Mâconnais. Here, rolling hills abut the Soan river and the shale soils are dominated by limestone and clay. Because of this, Paquet’s Saint-Véran shares more similarities with Pouilly-Fuissé than with wines produced in the Southern part of the AOC where sandy, acidic soils tend to produce leaner, more simple wines. This wine is produced from vines averaging 25 years with favorable exposure.